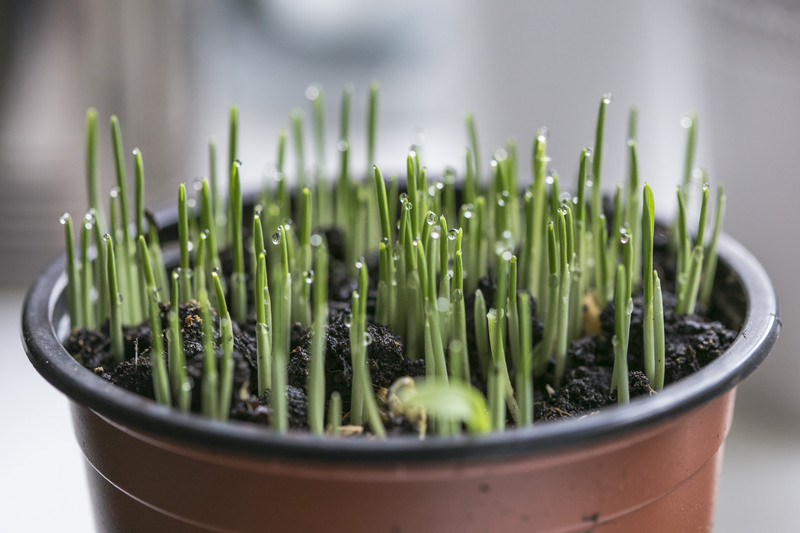 In America, more than 200 million pounds of non-biodegradable, petroleum-based, plastic flowerpots into the landfill every year, according to Kearney Hub. Biodegradable resins won't eliminate the problem of plastic waste, but they can play an important tactic in reducing pollution and waste in some instances. Composting disposable items can help reduce the amount of methane gas emitted from landfills while saving land that might otherwise be used for trash disposal. On a global level, between 22 percent and 44 percent of plastic consumed ends up landfills, reports the United Nations Environmental Programme. A Kansas-based bioplastics company recently unveiled a new biodegradable bioplastic composite created as a sustainable replacement to traditional plastic plantable pots or tree and shrub containers. Green Dot Bioplastics CEO Mark Remmert says the material is based on a proprietary blend of starch-based polymers reinforced with natural fibers—in this case, wood or corn cobs. Sold under the Terratek brand name, the composite is made from 80% reclaimed and 80% bio-based material. Reclaimed plant fibers are a visual reminder the planter will safely return to nature after its useful life has ended. Biodegradation rates will vary according to environment and part size. The company claims that using its biodegradable plantable pots can reduce greenhouse water consumption by as much as 600%. Current compostable planters are most often made from paper, peat or cardboard. These absorbent materials allow water to quickly evaporate from potting soil, requiring growers to water plants more often. The products don't absorb water, retaining moisture in the potting soil. In 2012, the company was recognized for developing a compostable thermoplastic elastomer made from more than 50% starch, or renewable plant-based ingredients. That material, GDH-B1, can be used with existing manufacturing equipment in most plastic processing applications including, injection molding, profile extrusion, blow molding, blown film and lamination. GDH-B1, which meets ASTM international standards for compostability, is used in products such as cellphone cases and toys, and as an impact modifier for PLA. Remmert says that by developing new materials, Green Dot Bioplastics aims to compete with other biodegradable bioplastics like PLA. As reported by Plastic Today, the material allows for the production of molded pots which have higher impact for longer shelf life, are more degradable, and are less expensive, he maintains. Moreover, the company can provide custom formulations of bio-based and biodegradable materials to fit a broad range of horticultural applications.